Third is special relativity – observers are moving at a constant velocity relative to each other. General relativity came 10 years later. His last day alive was spent with what he had been trying to resolve for years – the unified world theory. The pathologist without permission took and embalmed Einstein’s brain during the autopsy. Thomas Harvey had the brain for 40 years and would send pieces of it to different researchers. 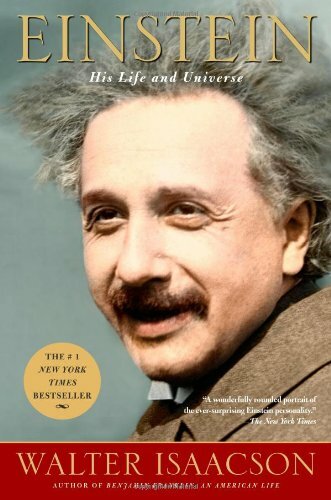 This entry was posted in Books and tagged Albert Einstein, Biography, Walter Isaacson on March 1, 2015 by Blas.